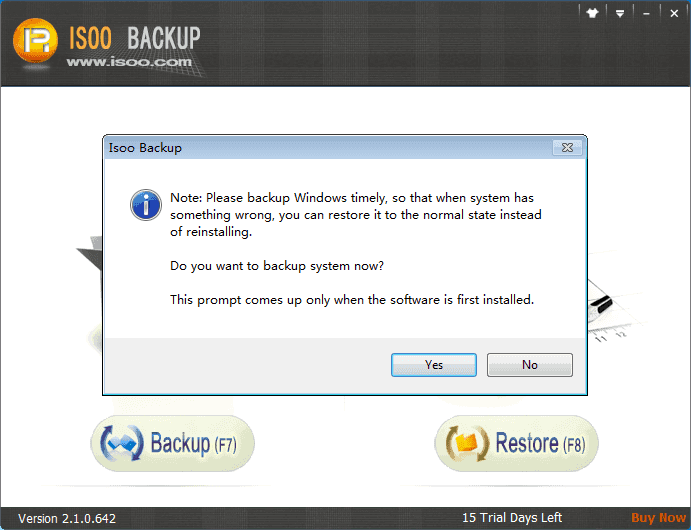 This article explains how to restore system using Isoo Bakcup with the Windows runs well. As a matter of fact, Isoo Bakcup supports several boot options, which guarantee the system restore can be performed even when Windows can't boot normally. For more information please click Boot Options. 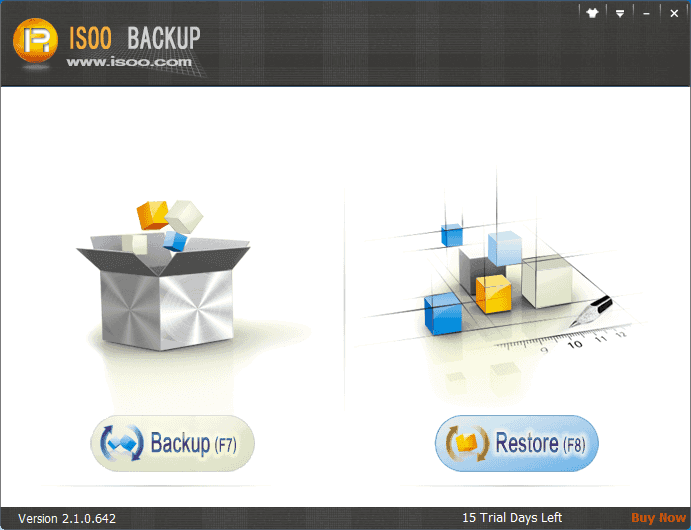 Start Isoo Bakcup and click the button "Restore". Click "Next" button and the program will show information for confirmation. Then Isoo Bakcup prompts to restart computer. Besides, the following operation might be blocked or warned by anti-virus software as it involves disk's underlying part. And there's no need to be unrested, Isoo Bakcup won't do any harm to computer! 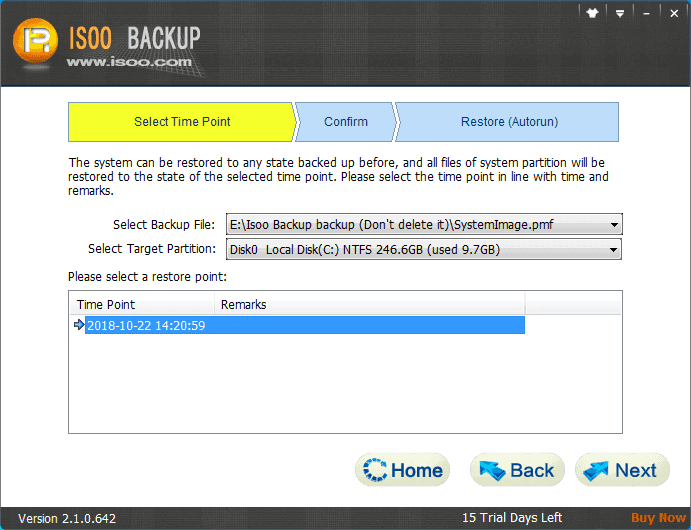 The restore speed is as fast as system backup. 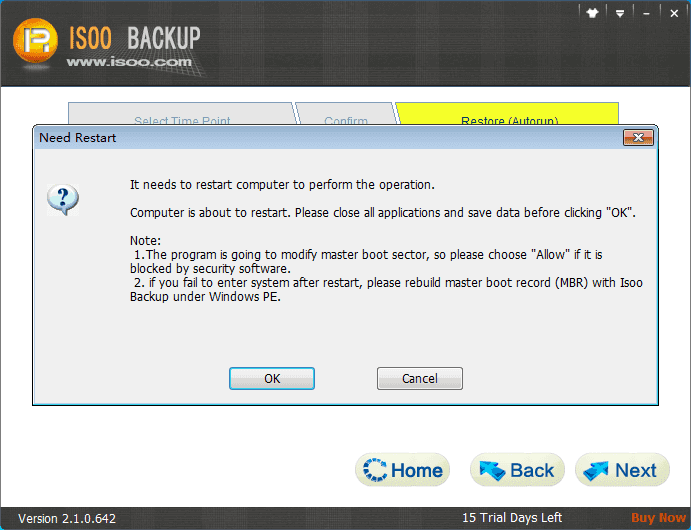 If you didn't modify default settings, Isoo Bakcup will restart to Windows when the system restore is completed.